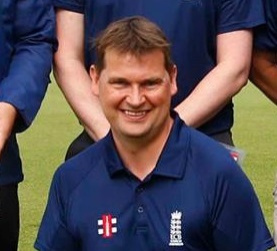 Cricket East is pleased to announce that Phil Lewis (formerly Club & Community Manager) has been appointed to the new role of Women & Girls Development Officer with effect from 1 November 2018. Phil said: “This role is an area of cricket I am hugely passionate about and focuses on two key areas within the Women and Girls game. “On the Performance side, I have an overall responsibility for developing the Girls County Age Group Programme across both Huntingdonshire and Bedfordshire helping to shape the future performance programme for girls across the two counties and open up opportunities for talented girls to progress along pathway towards, hopefully England one day! In addition to this, I have a role in the administrative support of the entire pathway for both boys and girls across both counties. “On the participation side, there are several exciting developments coming through from the ECB to get more women and girls playing. I will be working with clubs within Huntingdonshire that have or aspire to have a Women and Girls section at the club. I will also lead on other initiatives including Women’s Soft Ball Festivals, Schools Programmes, Lady Taverners events, Junior Girls Leagues and also senior Women’s League Cricket – and much more I am sure! Phil can be contacted by email at phil.lewis@cricketeast.co.uk or on 07880 636765.